All the rooms are centrally heated and are well supplied with electrical sockets. The Main Hall has a modular stage, which can be erected when a stage is needed for your event. There is an induction loop for the use of those with hearing difficulties. All the windows are fitted with white roller blinds. The Activities Room may be used with comfortable chairs and fold-away tables for conferences and educational classes, or it may be used as an activities room for practical work such as pottery, printing etc. The room is equipped with a deep stainless steel double sink with hot and cold water. Again, the windows are fitted with roller blinds. This photograph shows the Main Hall laid out in concert or small conference model, with part of the modular stage set up. In this configuration, the room can accommodate an audience of about 75. 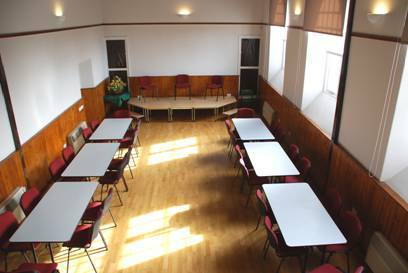 The Main Hall is centrally heated and well supplied with electrical sockets. The tall windows face south, which gives the room a light and pleasingly spacious aspect. The side doors are adjacent to the kitchen, so it is particularly easy to serve light refreshments. This photograph shows the Main Hall room laid out in banqueting mode, with part of the modular stage set up. In this mode, the room can seat up to 50 people, if an extra row of tables is set in the central aisle. The side doors, one at the front of the room, the other at the rear, are adjacent to the kitchen, so it is particularly easy to both serve meals and to clear the tables. 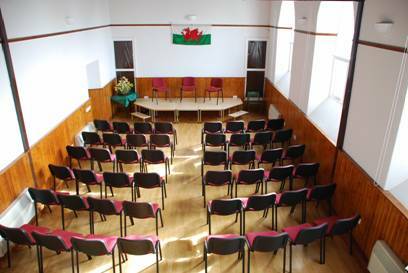 The Main Hall can be hired from £12.00 per hour, or £100.00 per day. For more information about hiring charges, click on the ‘How to Book’ tab at the side of this page. The Activities Room is a truly versatile facility. A committee room, with the tables arranged singly or in a group. An annexe to the larger conference room, for discussion groups. A refreshments room / bar for the larger events in the main hall. There are tall windows on both the east-facing and west-facing sides of the room, which provide good daylight for practical work. The room is equipped with a deep, stainless steel double sink set in a long work surface. The sink has hot and cold running water. The room is 4.5m wide, 7m long and 3.5m high. It is centrally heated. £7.00 per hour, or £50.00 per day. The Computer Suite is a quiet, carpeted room, up the stairs from the Main Hall. The computer suite currently contains 7 computers. Each computer is running Windows® XP and each is equipped with a 17 inch flat-screen monitor. The computers offer Broadband access to the Internet. 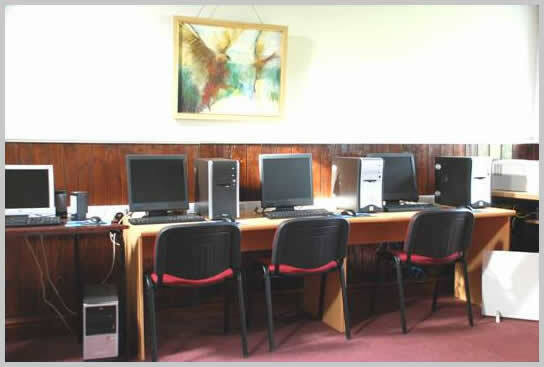 The computer suite with use of computers can be hired from £20.00 per hour, £100 per day. 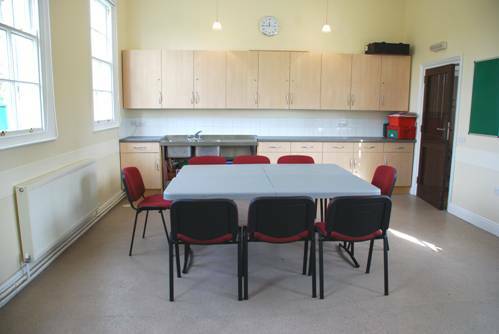 Room hire alone (without use of computers) from £7.00 per hour, £50 per day. If an individual wishes to hire time on a computer, the rate is £1.00 per hour. The Activities Room is ideally suited to arts and craftwork. The room is equipped with a deep, stainless steel double sink set in a long work surface and has hot and cold running water. For more information about hiring, click on the ‘How to Book’ tab at the side of this page. Complementary Therapies, Retreats and Quiet Days. 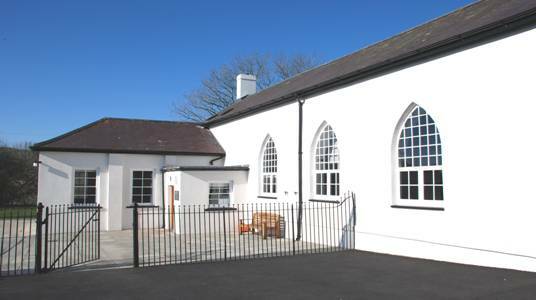 The tranquil, rural setting of the Edward Richard Centre make it a suitable venue for providing a range of Complementary Therapies or for organising Retreats and Quiet Days. See above for details of facilities available. A range of accommodation is locally available. LINK TO Visit Mid Wales. To hire the facilities, click on the ’How to Book’ tab at the side of the page.